Here are 5 things you need to know that reveal the details of the highly publicised surgical strikes on September 29. 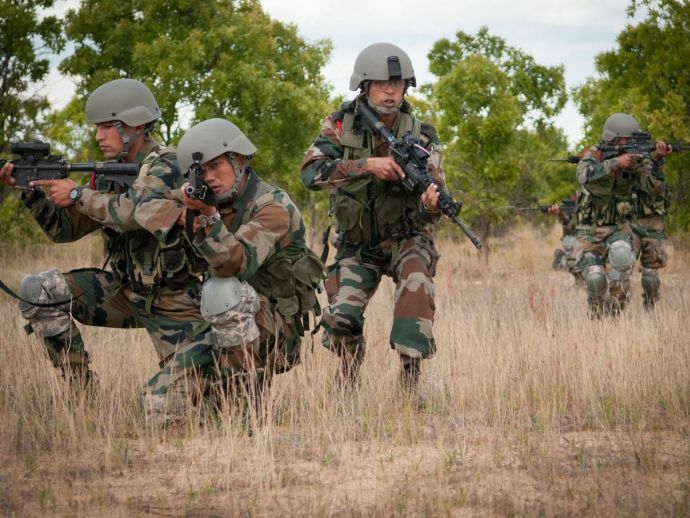 While the Indian government refused to provide the details of the surgical attacks carried on terror launch pads, the army has given some insights on the same, almost after four months. This information comes after the award ceremony that took place on the 68th Republic Day in New Delhi. The citations on the medals that were bestowed to the daredevils who took part in this high profile operation, give some insider details of the same. A group of 19 people which also includes four Paratroopers was awarded the gallantry awards. Moreover, all of them belong to the 4th and 9th battalions of the Para regiments. The identities of the paratroopers are kept secretive due to the official reasons. Here are 5 things that the citations reveal about the highly publicised surgical strikes on September 29. 1. 19 para soldiers took part in the main operation. One colonel, five Majors, two Captains, one Subedar, two Naib Subedars, three Havaldars, one Lance Naik and four Paratroopers were responsible for this exceptional feat, as reported by The Times of India. The awards which were won by the team include Kirti Chakra, Yudh Seva Medal, four Shaurya Chakras and 13 Seva Medals. 2. Timing was fixed and recce was also done. It was planned that the surgical strikes will be carried out on a new moon night, after which the intervening night of September 28-29 was fixed. A recce was also carried out by one of the majors and his team. 3. Another major crossed the LoC on September 27 itself! “The officer, along with his assault group, crossed the LoC 48 hours prior to the strike and kept the target under close surveillance till the day of the strike. His team mapped the target zone, location of automatic weapons and different firing positions the strike team could use. The officer destroyed a weapon shelter, killing two terrorists. During the attack, his squad came under fire from a nearby weapon shelter. Sensing danger to his squad, the Major, who was honored with Shaurya Chakra, crawled near the shelter and eliminated one more terrorist, silencing the gunfire,” reports TOI. 4. This surgical operation was no cakewalk. During the entire operation, the paramilitary forces had to save themselves from gun strikes and rocket-propelled grenades. 5. No casualty was reported. While the all the militants were killed in the strikes, luckily, no causality was reported from India’s side. Only a paratrooper was injured as he accidently stepped on a mine, which was set up by the militants, thus blowing up his right foot.